Daylily (Hemerocallis spp. ): growing, planting, caring. This plant is called a "daylily" because each flower only tends to last one day. It will produce one to many flowers every day when in bloom. Simple day lily flowers are edible, and very fragrant. Scientific name : Hemerocallis spp. Solid, easy to maintain, abundantly flowering, you must know the orange flower cultivar Hemerocallis fulva "Europa", common in gardens (also pictured here). 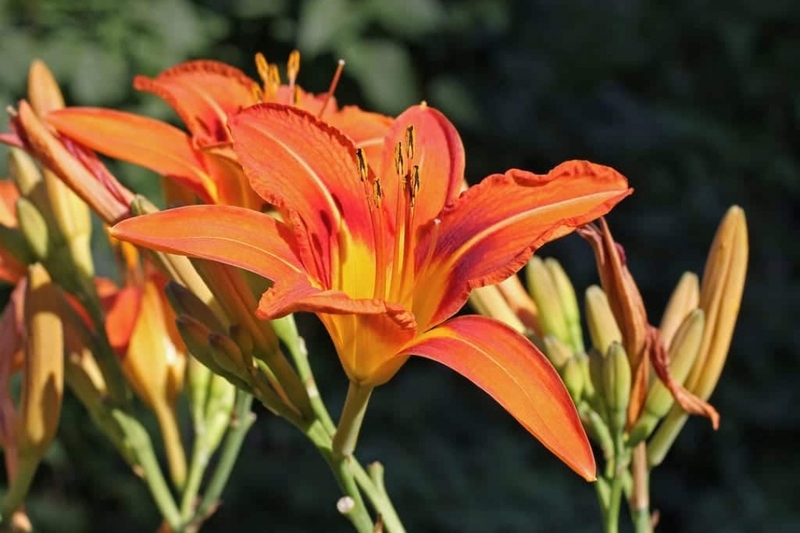 There are dozens of daylily cultivars that are less well-known, of mixed flowerings and a variety of colors. Most daylilies prefer direct sunlight in cool, fertile soil that is well drained. But be careful, certain cultivars with red or purple flowers can't take the sun (in the middle of the day).